This acrylic painting was a pet portrait commissioned for for a Birthday Present. 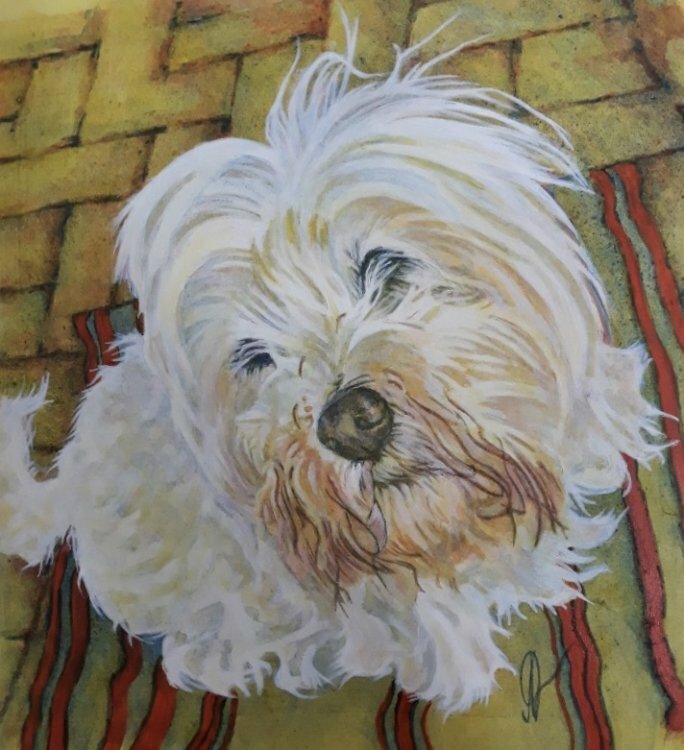 It was approximately 10" x 8" on Daler Board, a difficult commission of a sweet little dog, because you could not see the eyes and the rest was a mass of fur. I always feel the eyes are important as they show a lot of the character of the subject, but fur too can sum up a lot about a dog so i got there in the end.